Product prices and availability are accurate as of 2019-04-19 18:32:03 UTC and are subject to change. Any price and availability information displayed on http://www.amazon.com/ at the time of purchase will apply to the purchase of this product. 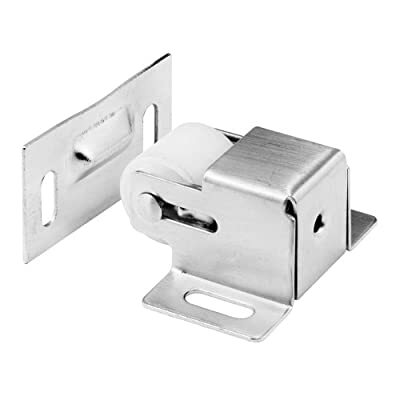 This catch is made from sturdy steel and finished in a satin nickel plating. It easily mounts to the surface and features sing loaded tension to ensure your door is closed tightly. For best use on closet and/or pantry doors.